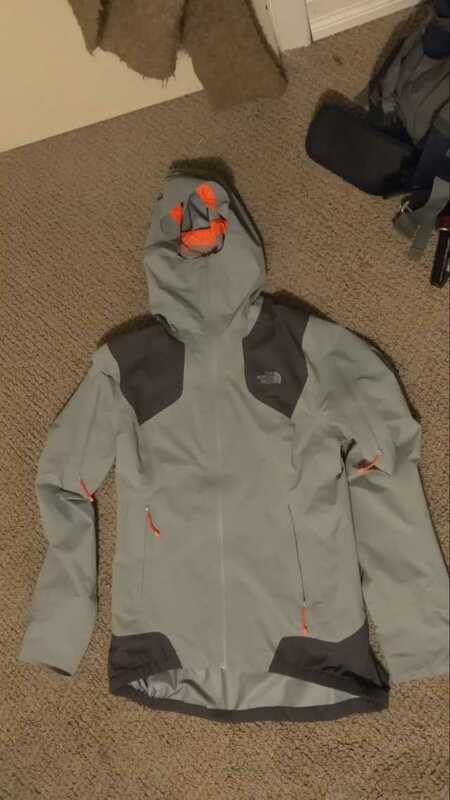 The north face gore tex jacket, size s/m, used one time. Really tecnique jacket to do touring or ice climb. Also for sunny days. Super light. Grey.